One of the most exciting buzz these days in web circles is about HTML5 and specifically video on HTML5. 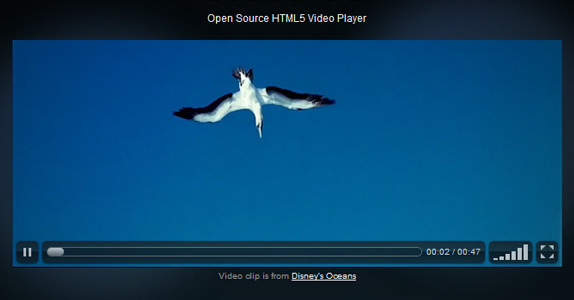 HTML5 Video players is one of the most notable new features in HTML5. It allows you to embed video without the use of flash. HTML5 video player tag is as simple as the following line of code. In this post I will showcase to you a list of the best free HTML5 video player and relating tools. In this list some plugins of WordPress related to HTML5 also included. Note: This round-up is done specifically for you to decide which free HTML5 video player is better for your website design project, so check out a few of the solutions that we particularly like. We invite you to rate the content, quality, and genre of the best HTML5 video players and opt for the choices according to your needs. YouTube, owned by Google, is the most popular video hosting platform out there. 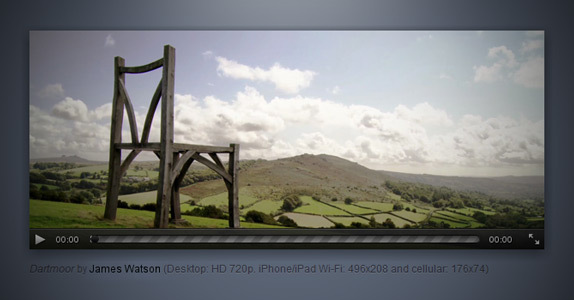 It is definitely one of the best HTML5 video players. There are millions of videos on YouTube, covering virtually every topic and style imaginable. For most people, viewing YouTube on their standard connection works fine. 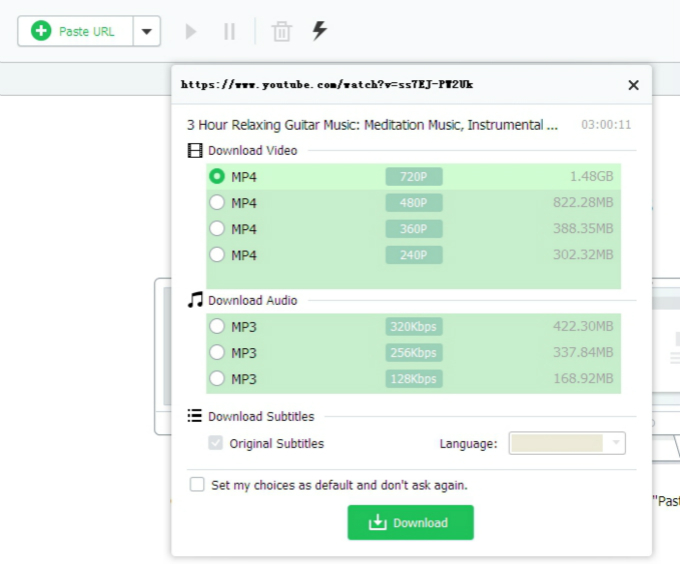 But with the slower connections and those with buffering and playback problems, iFunia offers a Free YouTube HTML5 Downloader for users to free download YouTube HTML 5 videos for offline enjoyment. SublimeVideo maximizes the use of HTML5 Video in latest browsers while providing full support for legacy browsers thanks to its integrated fallback to Flash. SublimeVideo allows your videos to play seamlessly on iPhones, iPads and Android smartphones, as well as other mobile platforms. 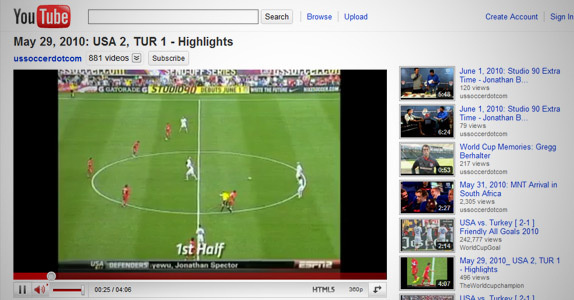 This is why SublimeVideo is considered one of the top HTML5 video players. Vimeo, like YouTube, is a popular site for sharing your videos that implemented HTML5 video playback early this year. There have been reports of difficulties with the Vimeo player for some users, though other users definitely prefer the Vimeo player to other top HTML5 video players. 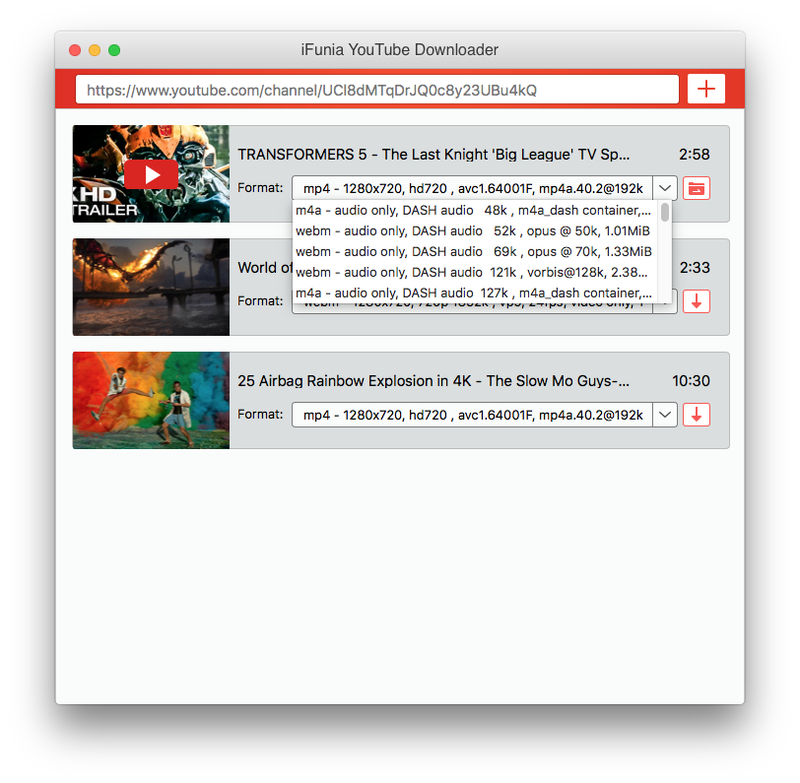 FlareVideo is an open source and free HTML5 video player that automatically fallback to flash when a browser is incompatible or not supported to HTML 5. All the controls can be easily customized using CSS. It comes with full screen. Deciding which free HTML5 video player is right for you can be complicated. 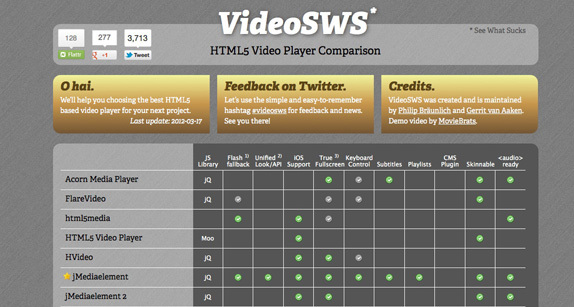 In this case you can use a nice comparison chart of various HTML5 video player solutions. This HTML 5 video player comparison chart covers some key features to show you which video player has the options needed for your project, and additionally offers links to demos to see each video player in action. If you’ve tested on a browser or device any of the above-listed free HTML5 video player or maybe some other ones not mentioned in this list, please let us know your impressions and give us a short feedback in the comments. The players above all have their shares of benefits and it depends on you to choose the best free HTML5 video player that you like the most. If you would like to save your favourite HTML5 online videos on you PC, Mac or mobile devices for offline watching, you will need a good YouTube downloader software. For Mac users, I recommend YouTube Downloader Mac which can fast download any HTML5 video you like from YouTube to your hard drive. This app is powerful yet very easy to use. Step 1 Install YouTube Downloader Mac on Your Mac. Step 2 Drag the thumbnail of your favorite HTML5 online video and drop it to the main interface of the app. You can also copy and paste the video URL. To download multiple videos at the same time, just add all the URLs. Step 3 Choose output format and video quality (such as HD 720p, Full HD 1080p or higher) and then click the download button. To view the downloaded HTML5 videos, just click the folder icon. If you are a PC user, you can use iTube Studio, which can help you download HTML5 online videos to your computer. Step 1 Download iTube Studio and install it on your PC. Step 2 Copy the URL of the video that you want to download and paste it at the software’s URL field. Step 3 Choose the output format of the video as well as the video quality. The above listed players are the best ones available. You can choose the one you like according to the features you need such as flash fallback, speed control, true full screen, etc. If you are still not sure which one to choose, you can make a list of the features that you need and check the players out one by one to see if they can meet your needs. I’ve only known Youtube, Vimeo and Blip.tv. The rest is new to me. I didn’t know Flikr can do videos. Here I thought they were just pictures. Nice new additional feature I guess. I am creating a website, where users can upload their videos. 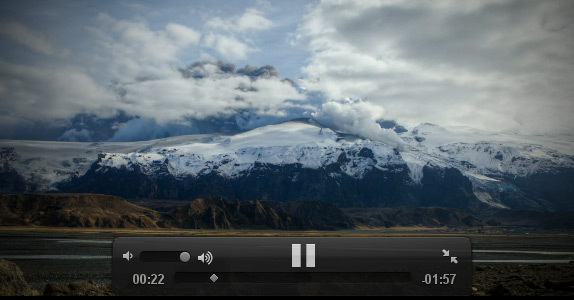 I’m using the HTML5 video player from videojs. How can I make HTML5 player play only MP4 on all browsers? If that is impossible, are there any ways to maybe convert MP4 to other formats? SublimeVideo looks very nice. Bookmarking this for future reference. Thanks for pointing it out! In Safari, if you go the YouTube page (or most other streaming sites) and select Activity from the Window menu, you can simply find the video file. (It’s the one far larger than anything else.) Double click on it and it will download to your downloads folder. IS this apps downloadable or have i need to go that website? need some help. Thanks for the list! The VideoJS one looks really nice. Whilst I agree to some extent, I always like to check them out as a way of finding out new things, in this case apps. The SublimeVideo Player on twit.tv does not seem to work in the PB browser. 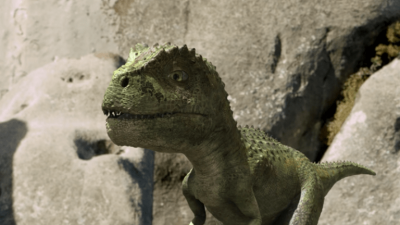 The Demo here SublimeVideo – HTML5 Video Player – Demo doesn’t work either, what gives? Unfortunately HTML5 is not yet a full replacement for all of Flash’s functionality. Most importantly for 22tracks, HTML5 lacks a standard for the secure streaming of media. Flash is already old technology. I’d like that developers make embeded HTML5 player in next version. I’ve been doing a bit of digging on HTML5. Looks like all the big players have their own version of it. some of the new features? Hi I am Scott Lee, an analyst, consultant, speaker, strategist and writer on topics related to digital content technology. Sublime was promising til they started charging plans to use it. That makes no sense. The point of html5 is to have an open platform that works in all browsers, not to try and make money on it. When I play youtube in Safari with HTML5 enabled a separate Flash player pops up in the Activity Monitor and shows 30% CPU useage while Safari shows 15% CPU usage. When I play the same clip in Firefox Firefox shows 45% CPU useage. So, have I really gained? For the love of God, keep wtirnig these articles. You completed a number of nice points there. I did a search on the topic and found nearly all folks will have the same opinion with your blog. HTML5 support all devices ( Mobile, Iphone, ipad etc..).